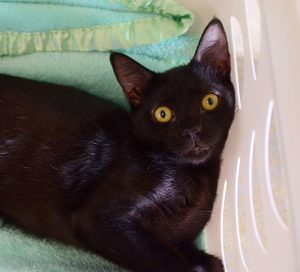 At 5 months old, BK (Black Kitten) already knows how to capture your attention with his charm. This little dreamboat is full of humorous antics to make you laugh, mesmerizing good looks to keep you looking, and snuggles on overdrive to you coming back for more. With a brilliant, ebony coat and hypnotizing avocado green eyes, this sleek and slick-coated guy will win you over with a great big BK hug. Visit BK at PetSmart in Greenwood and be ready to fall in love. Liberty is the perfect combination of sophisticated queen and youthful, spirited princess. Queenly Liberty loves to relax on her throne of pillows while being pampered and adored. Her princess side enjoys playfully dancing in the sunshine flashing her contagious and flirty grin. Liberty ideal home is where she can be the sole dog and live the regal lifestyle that will make her happiest. 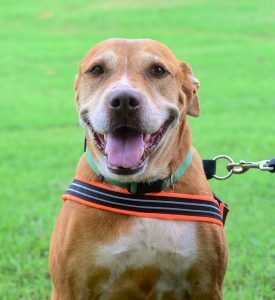 This genuinely joyful girl is ready to live her retirement years with a family who will love and provide for her forever.